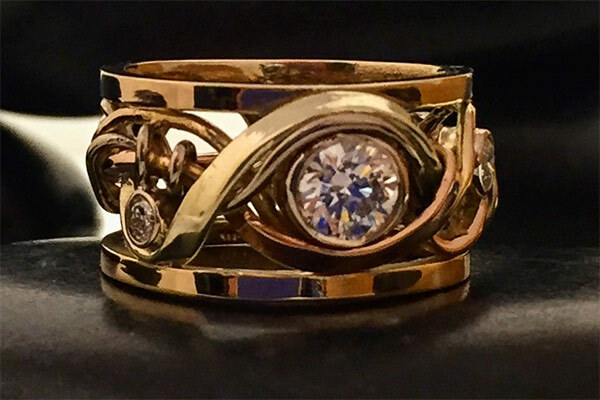 Custom Vine & Trellis engagement ring with diamonds. Vine work spills over rails. Call for custom order pricing.